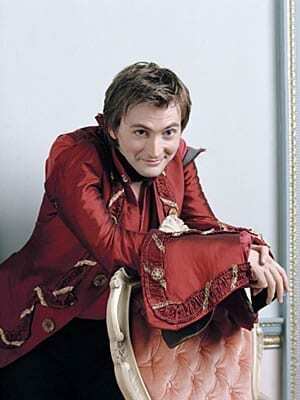 I’ll be honest and admit that I only started watching Doctor Who when The Tennant was in it. 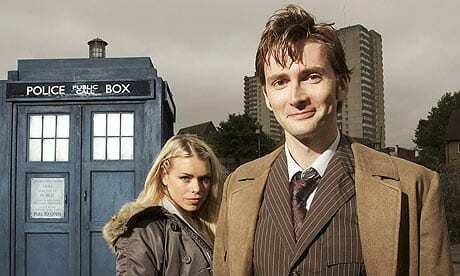 I went back and watched the first series with Christopher Eccleston, but the Tennant will always be my Doctor. Sorry, there was a point to this post besides looking at David Tennant. Anyway. Matt Smith. I’ve not really read much about him on purpose, because I don’t want to make a decision on him till I’ve seen the first episode, but I caught him on the Zane Lowe show this morning (which was bloody amazing actually, a great alternative to Chris Moyles) and I like him. Honestly, someone who gets that enthusiastic over playing a Radiohead track, or Nessun Dorma at 5 to 10 in the morning is pretty awesome. Its just made me even more excited about the new series. Yes, he’s not going to be the same Doctor we love, but isn’t that a good thing? 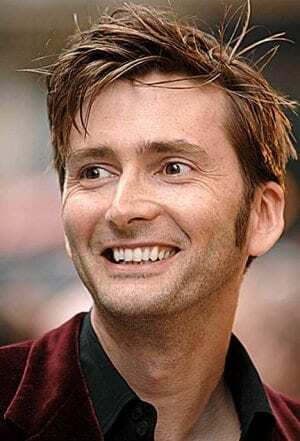 Thank you for all the David Tennant pics! Lovely to wake up to. But please give some warning about the Barrowman next time! When I first saw him I didn’t like him either, but now? Now he’s vety hot and I want him. Think he might even be hotter than David Tennant. Think I might also be a little tipsy. Sorry. But Matt Smith is great – am going to miss Tennant though :( IT must be a complicated role to fill, knowing your every action is going to be compared to the previous Doctor. .-= BlackLOG´s last blog ..Holding BlackLOG =-. Yeah, I’m right there with you on the Tennant love and the Matt Smith posters make me want to hit him in the face BUT it was pretty good, wasn’t it? I suspect that’s the writing as much as, if not more than, Smith’s acting but still…good start. .-= Kate´s last blog ..My week in pictures =-. Nice pictures. Tennant is a hard act to follow but I think Matt Smith has made a good start. By the end of the 13 episodes in this series I expect we will be thinking he will be hard to replace too. They started to show the softer side of the doctor with David Tennant and appear to be continuing this with Matt Smith who also seems to have a Zanier side reminiscent of one of the earlier doctors. I think he will be worth watching.